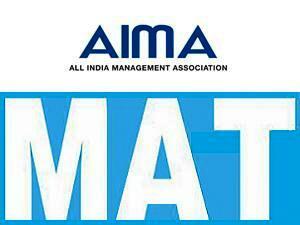 All India Management Association (AIMA) is going to conduct the MAT Exam Sept 2015 at various exam centers allotted across the country.There are a large number of candidates applied for this exam and appeared in this, to qualify this test to be eligible for admission in top management institutions across the country. There are two modes of MAT Test, candidates are allowed to choose any one of the option to take the test – Paper Based Test or Computer Based Test, which is best suitable for a candidates, he/she can choose. The exam venue for computer based test will be allotted according to the number of candidates registered for the particular location. MAT Exam centers are different for paper based and computer based test, so choose it wisely. The online admit card for Management Aptitude Test (MAT) Sept. Exam 2015 are now available online at the official website of AIMA – www.apps.aima.in/matadmitcard.aspx. The admit cards were uploaded by All India Management Association AIMA on its official website on 29 August, 2015. How To Download AIMA MAT Admit Card? All the candidates who have registered with AIMA for the test whichc is to be held on 6 Sept and 12 Sept, can download their exam admit card from the following link given here. This admit card is valid for both paper based and computer based test so you need to download it in both cases. You have to enter your full name, form number and date of birth, then click on submit button to view and print the admit card online. For more information you can visit the official website www.aima.in. The exam is scheduled to be conduct in the month September – 6 Sept (Paper Based Test) and 12 Sept, 2015 (Computer Based Online Test). The exam is conducted by AIMA and the MAT Sept 2015 Exam Schedule is available on the following link. All the candidates who have registered successfully for this test, can download their exam admit card from AIMA website http://apps.aima.in/ the link has been activated on August 29.